Pelosi and Cryin’ Chuck Schumer begged President Trump this week to reopen the government. Trump doesn’t give a damn and wants a wall. 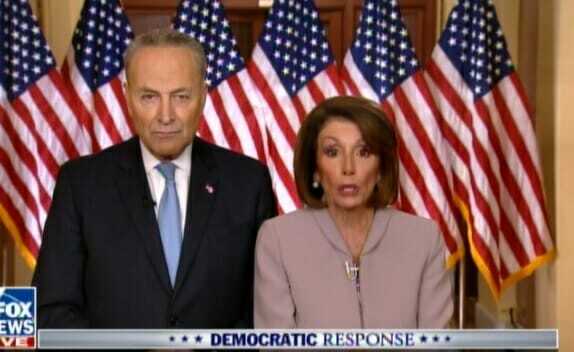 Chuck and Nancy are losing. And their wall of insanity is crumbling down. Numerous Democrats now say they want a border barrier. Don’t they know Nancy says it’s immoral?